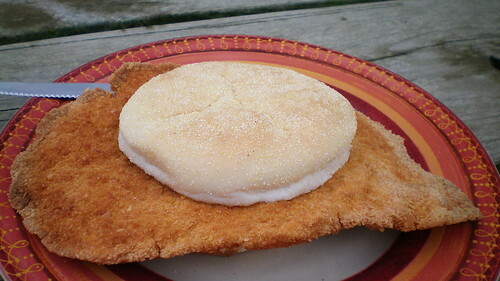 Breaded Pork Tenderloin Sandwich from Butch's River Rock Cafe in Oakland Mills, Iowa. The old Oakland Mills store is across from a dam on the Skunk River in an unincorporated township outside Mt. Pleasant. for the latest 411 on Iowa's favorite sandwich!